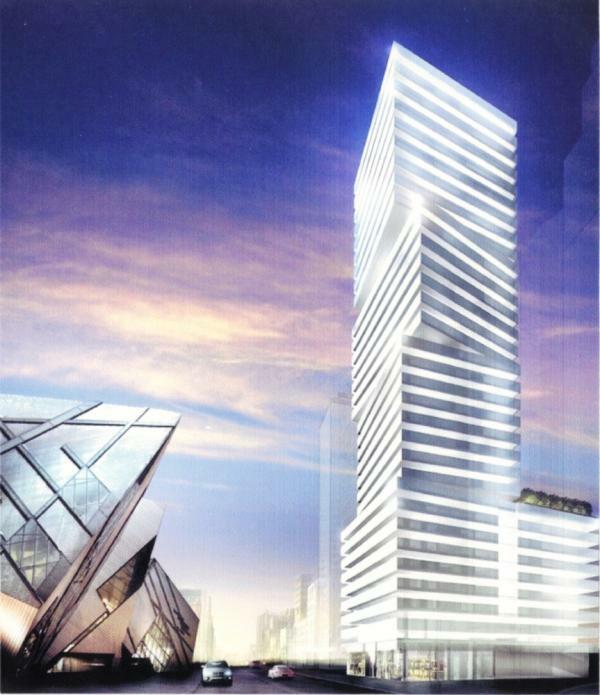 Exhibit Condos at 200 Bloor Street West is the exciting new condo development from Bazis International Developers with 32 storey’s and about 200 suites… this is a high rise not to be missed. This new project is located at Avenue Road and Bloor St West in the heart of Downtown Toronto with easy subway access and a short walk to schools, shopping, restaurants, art galleries and The ROM. The suites will be the height of luxury at Exhibit Condos with wrap-around windows, and balconies featuring incredible views. The Amenities at Exhibit Condos at 200 Bloor are top notch with fitness centre with yoga studio with gorgeous view of gardens, 24/7 concierge service. The ninth floor is where the most of the fun can be had – two lounges with double sided fireplaces, private dining room with catering kitchen, bar, outdoor rooftop garden with trees, private seating areas water features and pool.